I'd heard about magnetic lashes for quite some time but due to the price and uncertainty of the product I never ordered them. 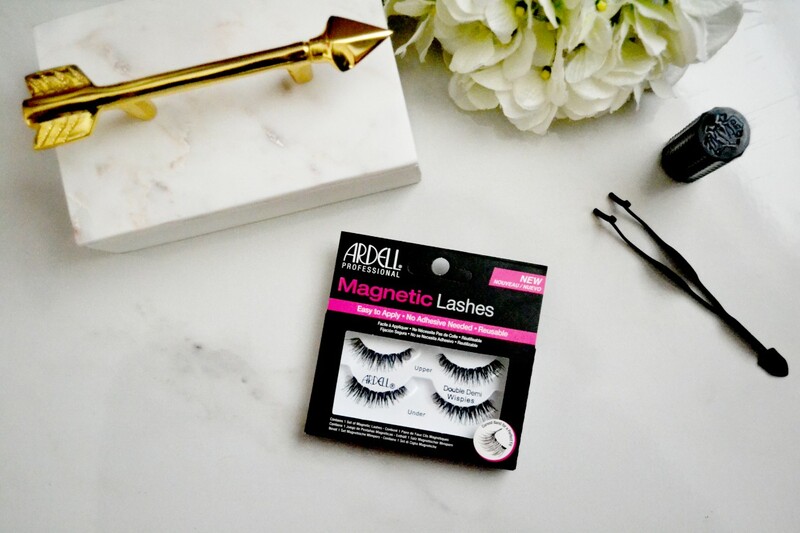 So when I saw Ardell had come out with their own version of magnetic lashes I had to try them! 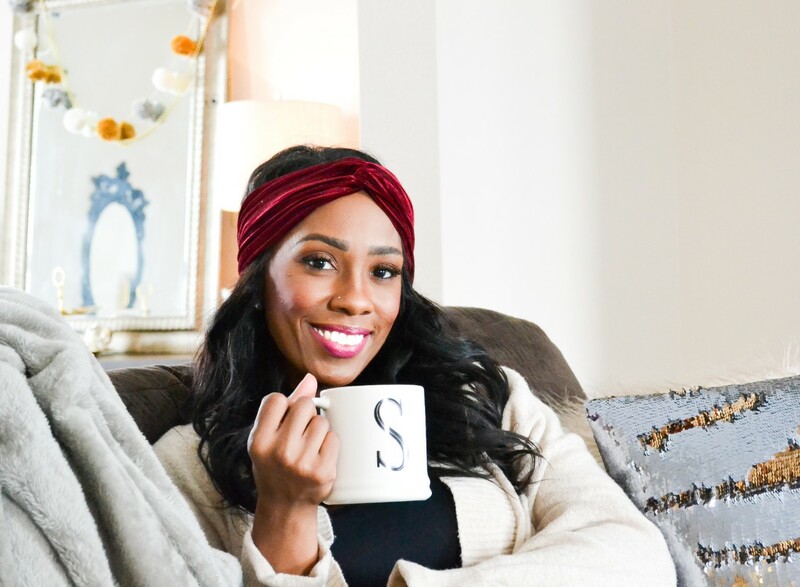 I love to wear lashes daily, because of this, I can get them on fairly quickly. However, I know so many of my friends who don't wear them because the glue is super irritating or they are just too much of a hassle to apply. So how amazing would it be if these ended up being a better alternative to strip lashes?! Ok - so I bought these at Sally's for $12.99, which compared to many other magnetic lashes, these are a steal. There are a few different styles to choose from, two full strip styles and an accent style. I decided to try to the Double Demi Wispies. 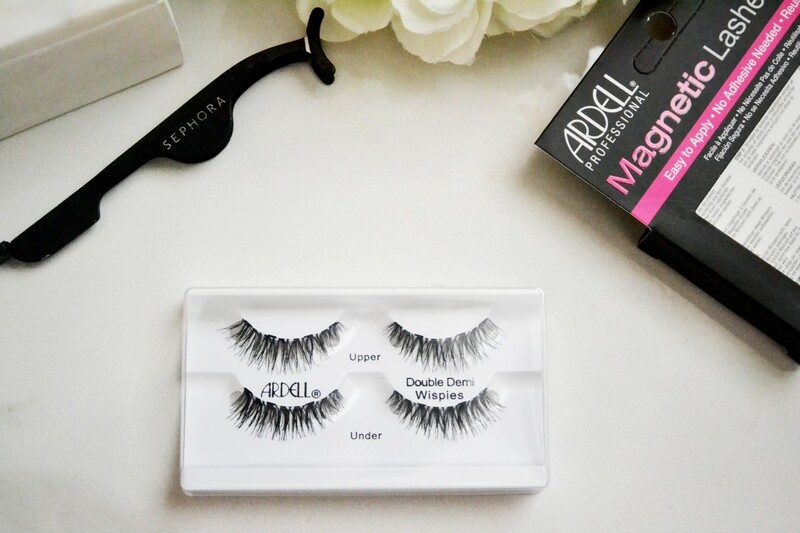 As you can see from the photos, each package contains four strips of lashes, two upper lashes and two under lashes, each having four magnets. To apply these, you're simply supposed to place the upper strip above your natural lash and the under strip under your natural lash. The magnets should lock into place and the lash should stay put until you're ready to remove. For removal, you should just gently tug and they will come right off. Now, to be honest with you, I thought I'd be able to snap these on and go on with my day. Nope, not the case, at all!! I followed the directions the first time and unfortunately it did not work. I tried it a few more times per the directions and still not much luck. I then decided to use my lash application tool from Sephora, hoping it would help to place the lashes a bit easier. It helped a little but not much. I did finally get them on (sort of) but they weren't secure near the inner corner of my eye and because my lashes are super curly there was a bit of a gap between the upper and under lashes. Also, because the 'under' lash is applied under your natural lash I could see the lash, which was extremely uncomfortable for me. The lashes did not feel very secure, but this may have been because I didn't have them on completely near the inner corner just because it wouldn't lay down flat on my lashes. 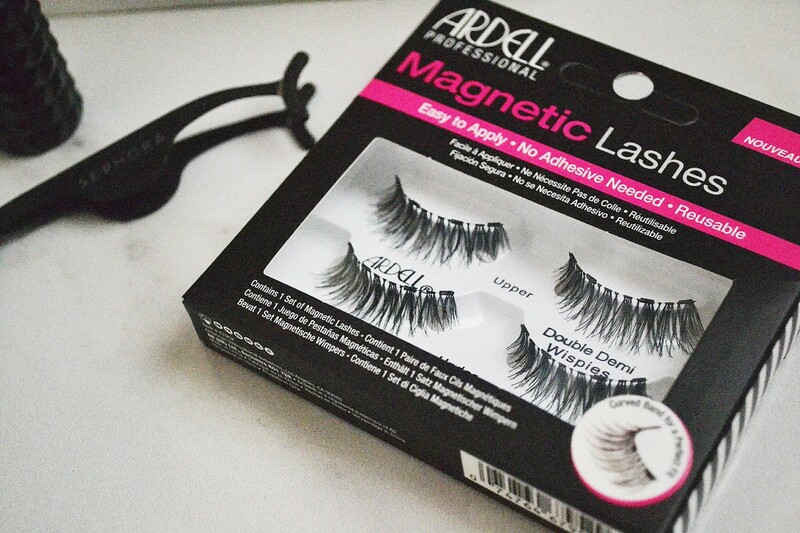 Unfortunately, I would not recommend the magnetic strip lashes from Ardell. I was extremely frustrated with them and they really tested my patience. I think the idea is great but these just didn't work for me. I may try the accent style to see if I have different results and if I do I will let you know! If you do decide to try these just know there is definitely a learning curve, so make sure you have plenty of time (and patience!) to play around with these. Have you tried these? If they worked for you, let me know some of your tips/tricks!! Thanks so much for reviewing these. I always wondered how they were, I definitely think I will pass on them. Great Review! Thanks for reading, I'm glad it was helpful!